Whew. 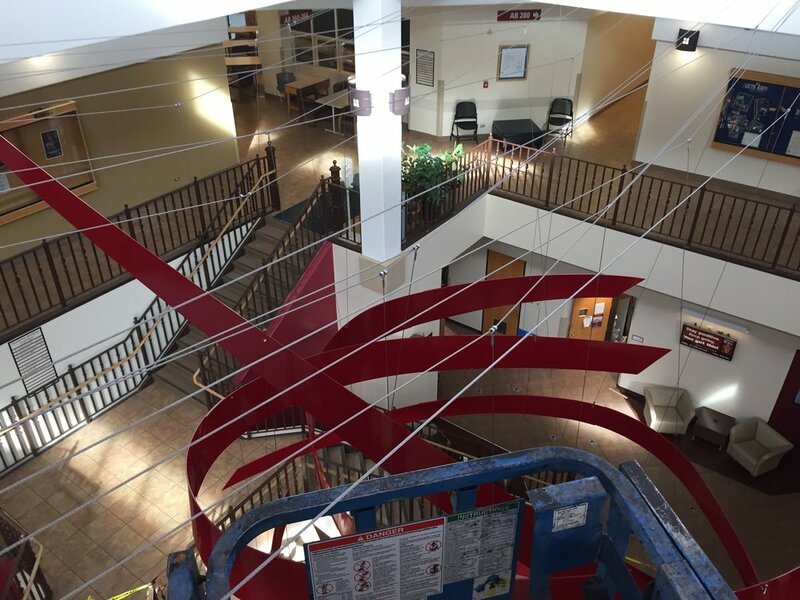 Matt and Ben just finished installing a Red Thread ceiling sculpture at Pueblo Community College in Colorado, and it was intense. 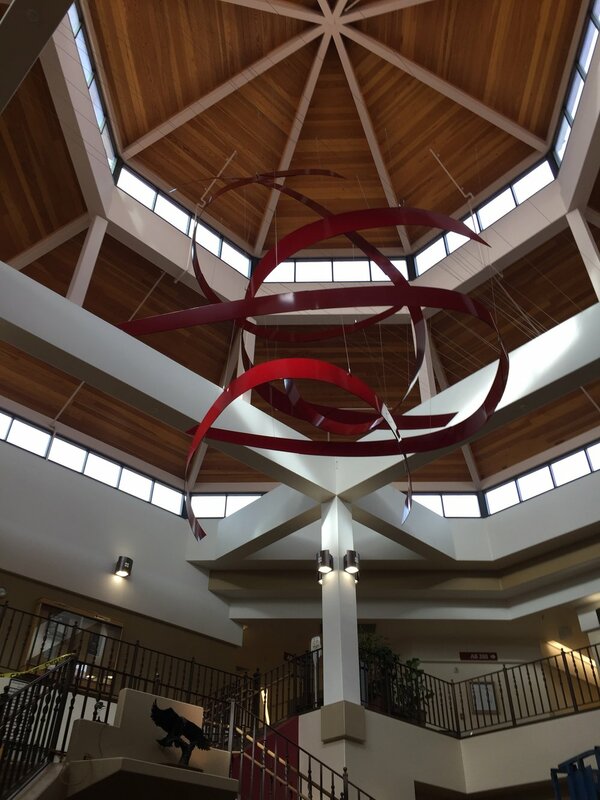 The sculpture hangs from the center of a large rotunda with a 50-ish-foot ceiling. Anchoring to the ceiling wasn’t ideal for various reasons, so they strung cables across the rotunda, attaching them to support trusses. 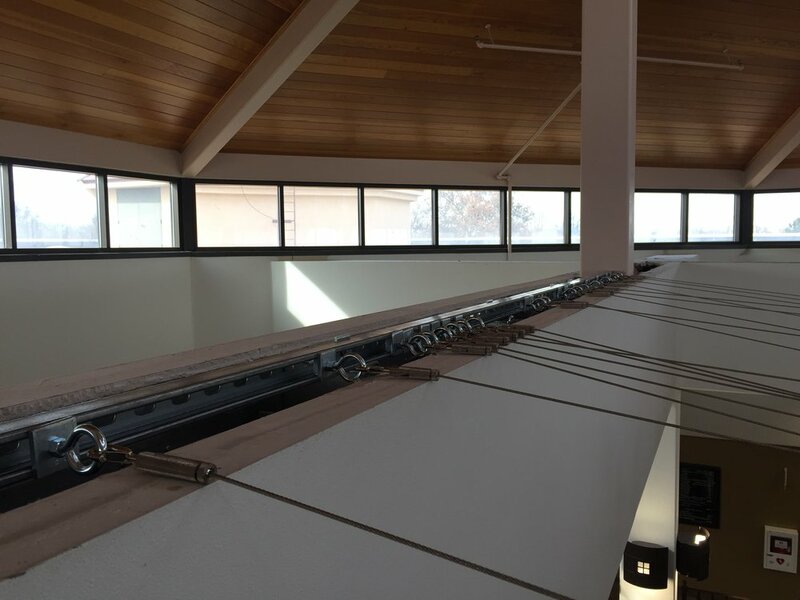 Once the support cables were in place, the shapes were each hung in their proper position—which sounds easier than it actually is. 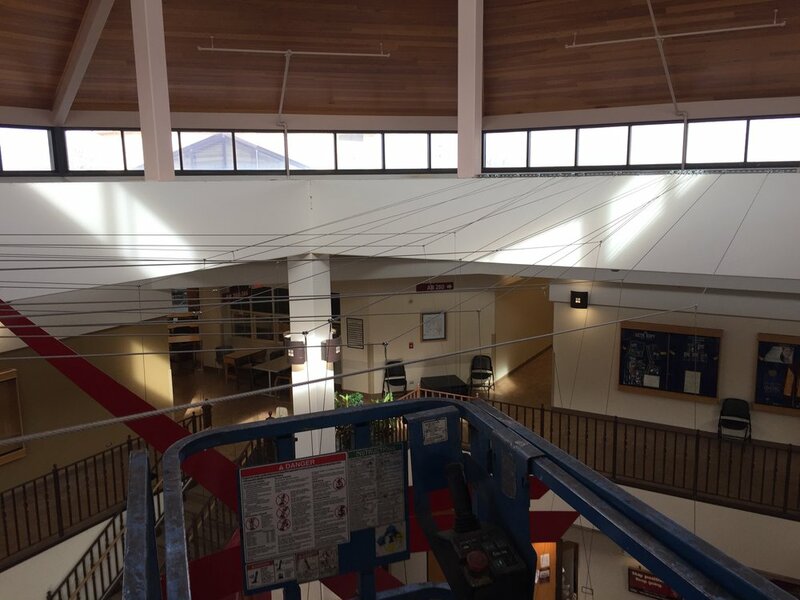 We're making serious headway on the red thread ceiling sculptures! The client's timeline is aggressive, so it's been all hands on deck to get these completed in time. The forms are headed to powder coated next, and then they'll trek across the country for an early March installation. Stay tuned! Here's a project that's getting a lot of our focus at the moment. This will be a 4 sets of sculptures to hang in the staircases of two sister office buildings. 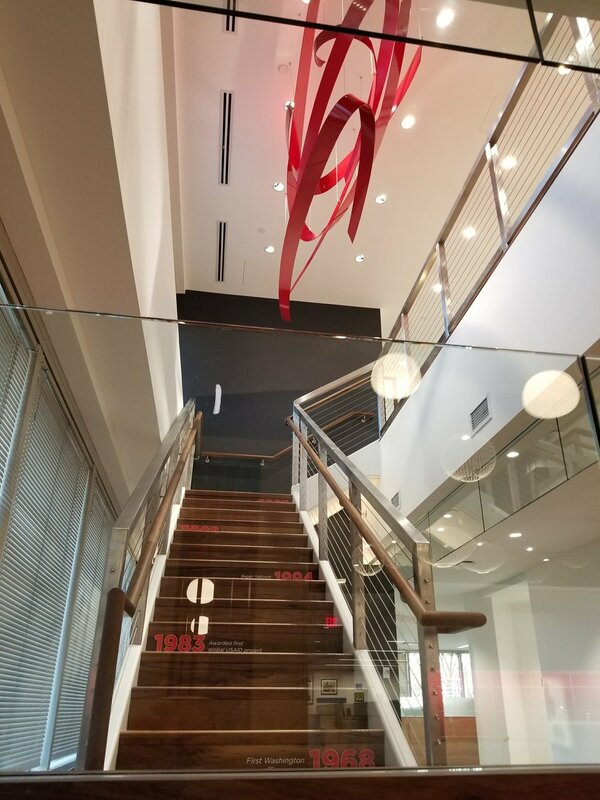 It represents red thread, a concept used throughout Greek mythology, Asian history, and the Bible, to represent connectivity and a willingness to aid. We look forward to seeing it come together!